And he looked up, and saw the rich men casting their gifts into the treasury. And he saw also a certain poor widow casting in there two mites. 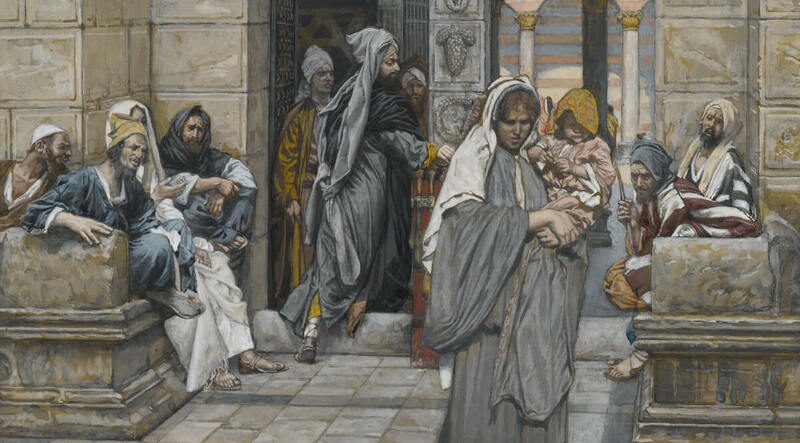 And he said, Of a truth I say unto you, that this poor widow has cast in more than they all: For all these have of their abundance cast in unto the offerings of God: but she of her poverty has cast in all the living that she had. And as some spoke of the temple, how it was adorned with beautiful stones and gifts, he said, As for these things which you behold, the days will come, in which there shall not be left one stone upon another, that shall not be thrown down. And they asked him, saying, Teacher, but when shall these things be? and what sign will there be when these things shall come to pass?